This week's poll theme is monstrous feet. We have wood, reptilian, and rhino to choose from. Now's your chance to decide what artwork I will work on next. Whatever wins the vote will be completed the following week. This doesn't mean I won't work on other pieces. The winning piece will just be guaranteed my attention. This poll will end on Wednesday, January 8th. Just out of curiosity, why are people voting more for the hardest one to doctor up from what’s already there? 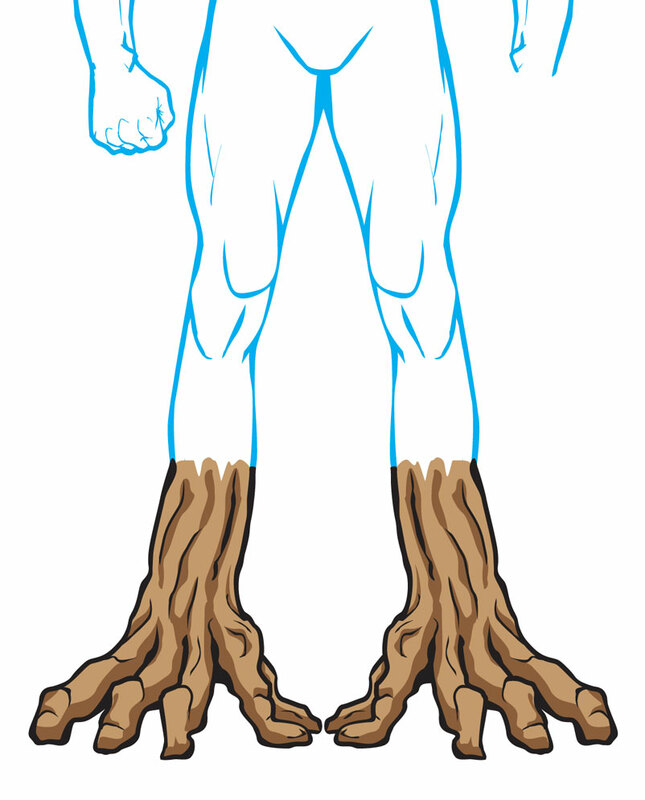 There is an Ent foot, though it needs work to transform it from Monster Body, especially if you want two of them. Ten layers of work each? Adding toenails to another foot to rhino it, I’m guessing eight layers. But the abomination foot? I’m guessing twenty-five plus layers. I’m always glad for more items, but maybe we should maximize our requests? Dead even at the moment! Which monstrous foot will stomp and grind the others into a bloody mess? Your guess is as good as mine. Thanks! Happy New Year everybody! Wait! Shouldn’t Abomination’s feet only have two toes and not five? Also, we already have a lizard-like foot with five toes in HM3. Wait! Shouldn’t Abomination’s feet only have two toes and not five? Technically you are correct, but this image comes from an Abomination toy, hence the description. Could have simply been called reptilian foot as well. Also, we already have a lizard-like foot with five toes in HM3. This foot looks different from the one already in HM3. But if you are trying to sway other voters I welcome all manipulations! 🙂 All’s fair in love and Whiz Bang Item Creation! This is a close one! Even rhino foot is charging forward from behind. dblade: I welcome all manipulations! This is my new personal motto. Dang! I don’t even know which piece to start. So close. So close. Looks like Ent Foot is STICKing it to the others and striding forward to the lead. Started the Ent Foot artwork. Now second place will get made! Either Rhino or Abomination will have something to stomp about when this is through! Sort of made Abomination Foot. I made it fit the standard body type. Looks like Rhino might come in second so I will probably do that one too. Very impressive, but those are not Abomination feet. The photo link below is an example actual Abomination feet. Hate to nitpick about it. Mr. Q: Very impressive, but those are not Abomination feet. The photo link below is an example actual Abomination feet.Hatetonitpickaboutit. Actually it comes from an Abomination toy as I noted above to you. I am tempted to make the original Abomination foot though.